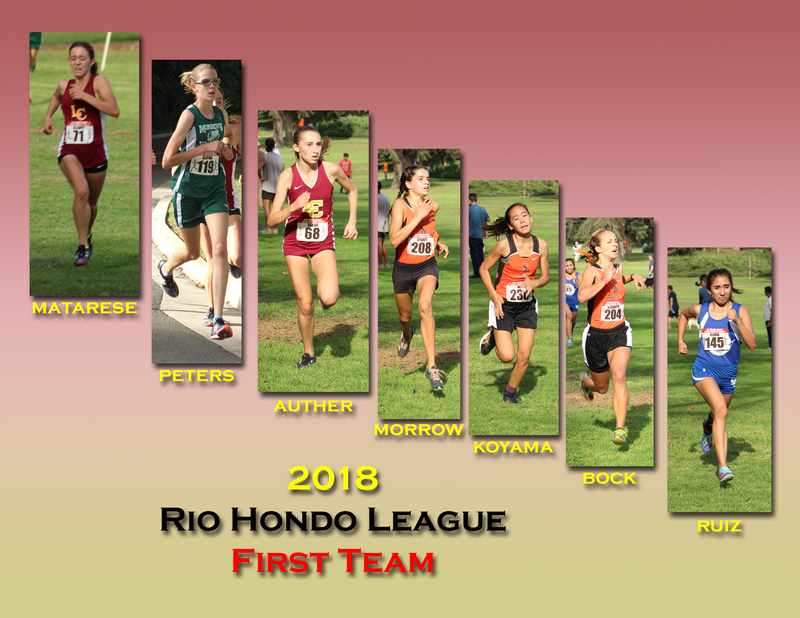 The South Pasadena boys were league favorites at the start of the year, while the girls were a question mark, with La Canada the projected champs. The Tiger boys fulfilled their promise, while two frosh led the SP girls to the championship over an injury limited Spartans. South Pasadena followed up wins in first two boys races, with another another solid win. 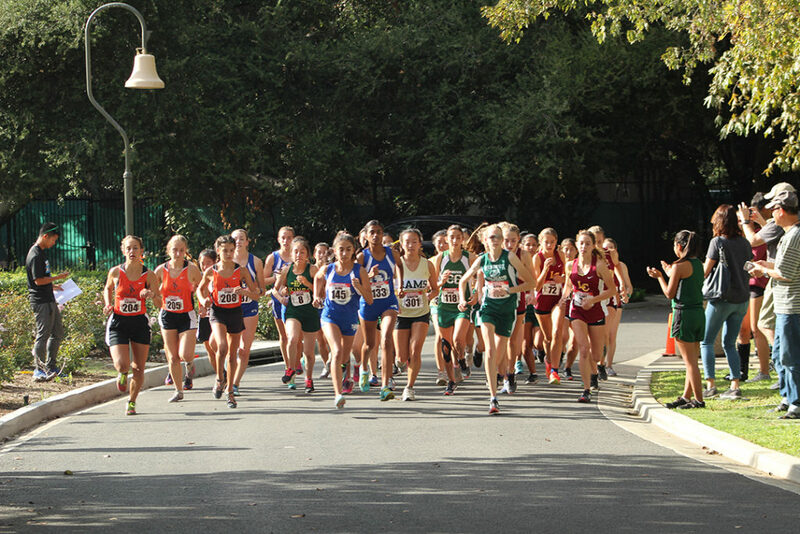 They put three in the first seven to finish with 36 points on the 3-mile course Thursday at Lacy Park in San Marino. 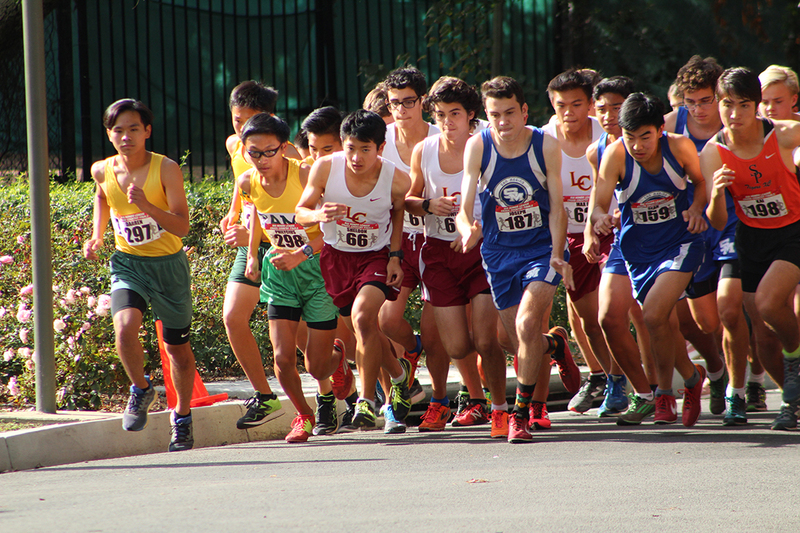 La Cañada, Temple City and Monrovia each came into the meet with the chance to finish anywhere from 2nd-4th. They finished in that order, with the ‘Cats missing out on the final CIF spot. South Pas senior Kai Dettman ran away from Owen Serricchio (Sr, La Canada) and Asa Barton (Sr, Blair) to take the individual championship in 16:29. Owen was 2nd/16:32 and Asa, moving up from 8th and 6th in the first two meets (and 22nd last year!) was 3rd/16:37, and will advance to CIF as an individual. 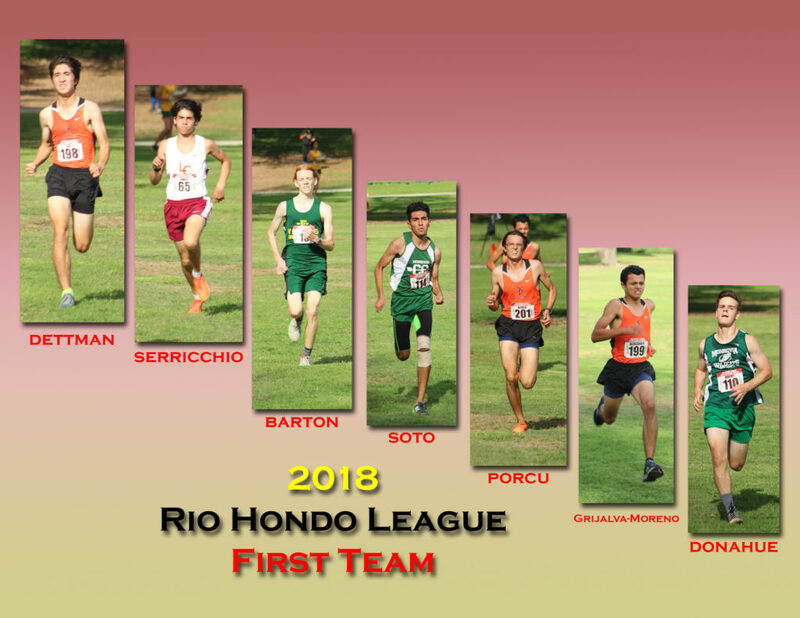 Roberto Soto (Sr, Monrovia), battling injury all year, was 4th/16:54 and will also advance to CIF, as he did last year. Teammate Jeremy Donahue jumped up from 11th & 16th in the earlier league meets to earn All-League honors by finishing 7th/17:15. South Pas seniors Nicolo Porcu – 5th/17:07 and Alekzander Grijalva – 6th/17:07 grabbed the final two All-League spots. Junior Philycius Tjong – 8th/17:16 was best for Temple City and will lead the Rams to CIF for the second straight year. San Marino was fifth and Blair was sixth, senior Sean Chen – 11th/17:22 was best for the Titans. La Cañada were the easy winners in the first league meet, but losing a key runner to injury combined with the rise of South Pasadena’s two frosh leaders put the Tigers ahead in the second meet and again in the Final, with a 38-53 edge on Thursday. San Marino came closer to the Spartans but were third again and earned the final CIF spot. La Canada soph Ellaney Matarese was challenged by Monrovia junior Alayna Peters but bested her 18:38 to 18:44 to complete an undefeated league season. As she did last year, Alayna will advance to CIF individually. Sarah Auther (Jr, La Canada) was 3rd/19:11. South Pasadena’s win was keyed by a 4-5-6 finish from frosh Sydney Morrow (19:16) & Mai Koyama (19:37) and senior Elizabeth Bock (19:38). All three had run well all year, with Elizabeth moving up nicely from at 20th place league finish in 2017. Olivia Ruiz (Sr, San Marino) took the final All-League place with a 7th/19:38 and will lead her team back to CIF. Monrovia moved up from fifth in the first meet to fourth here, but could not reach the final CIF spot. 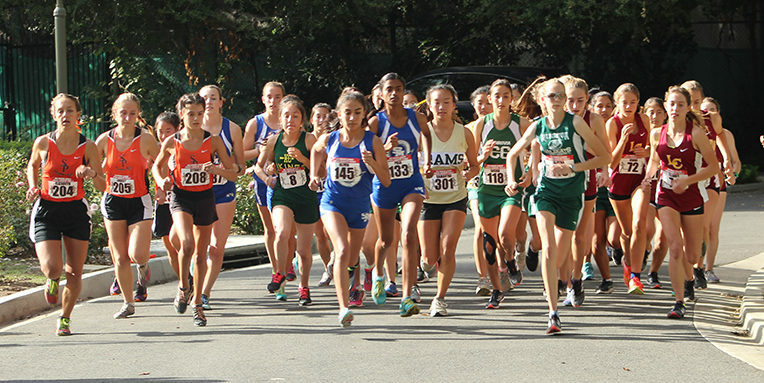 Temple City was fifth, led by Samantha Li – 17th/21:25 and Yarely Franco – 30th/23:17 was the best for Blair. Thanks to Andy DiConti for the photos.